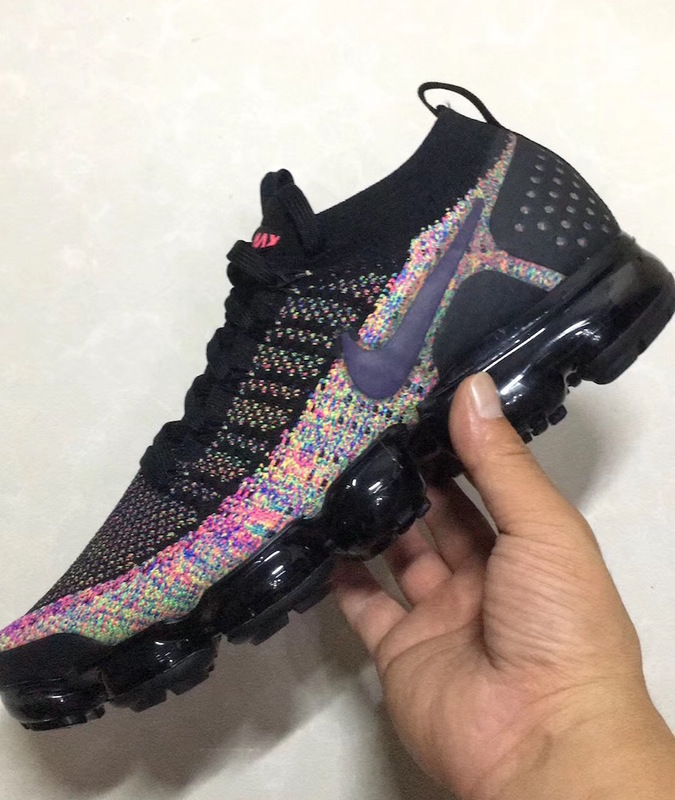 All the summer long, we were enjoying the VaporMax silhouette, and still, Nike is preparing to drop a few ” Multicolor” lineup for the fall and winter seasons. 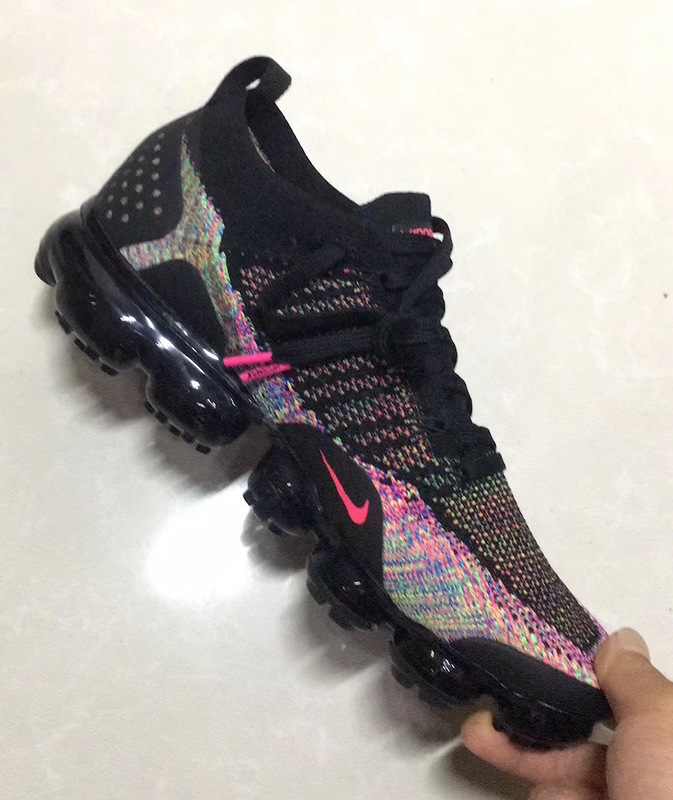 The upcoming VaporMax 2.0 will come dressed in a Black Multicolor color option. It features a Black Flyknit upper. While the Multicolor details come highlighting the pair. A Black full-length VaporMax Sole Unit tops-off this magical look. 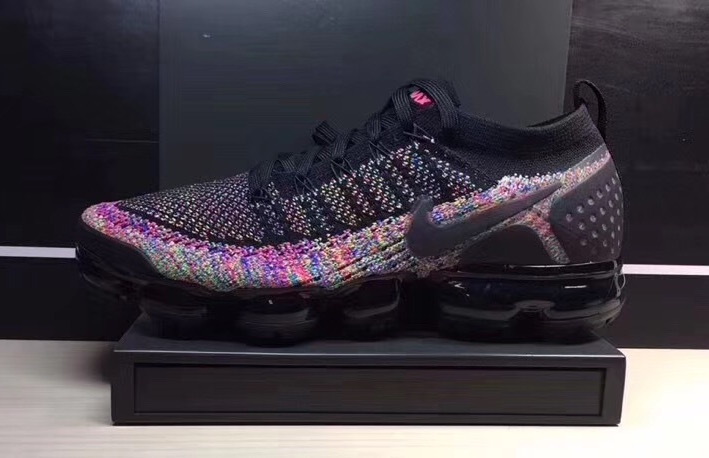 Expect this Nike Air VaporMax 2.0 ” Black Multicolor” to hit the shelves later this year at select Nike Sportswear retailers, peep a look below and feel the elegance by picking up this pair, retailing at $190 USD.